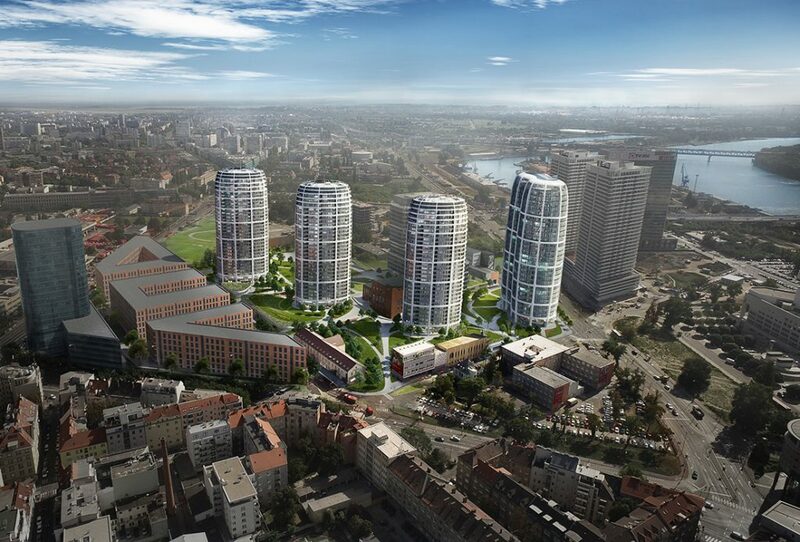 A ceremony to lay the foundation stone of Sky Park, Bratislava has marked the start of its construction. The project’s preparatory works began earlier this year, with its first phase planned for completion in late 2019. 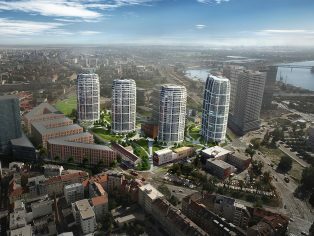 Located southeast of Bratislava’s city centre, Sky Park is integral to the redevelopment of this derelict industrial area of the city. 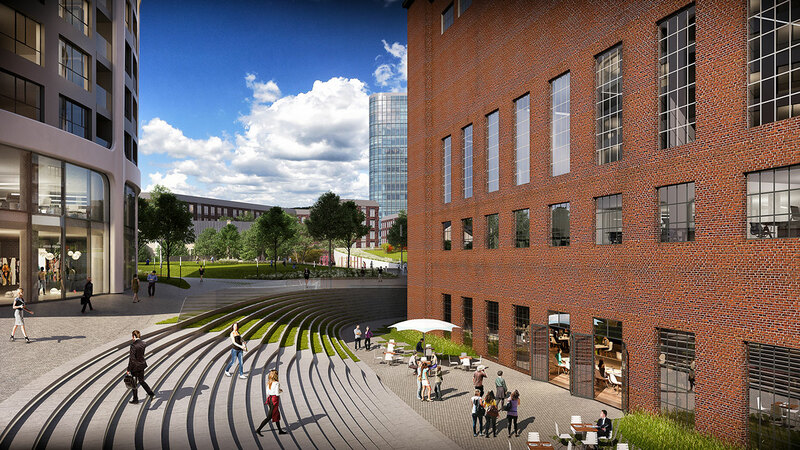 The design converts an abandoned site into a new 20,000m² public park and community of more than 700 apartments together with 55,000m² of office and retail space connected to the city’s tram and bus networks. At the centre of this new park is the decommissioned heating plant designed by architect Dušan Jurkovič. The Jurkovičova Teplárne heating plant dates from 1941 and is definitive of the Slovak architect’s later work. 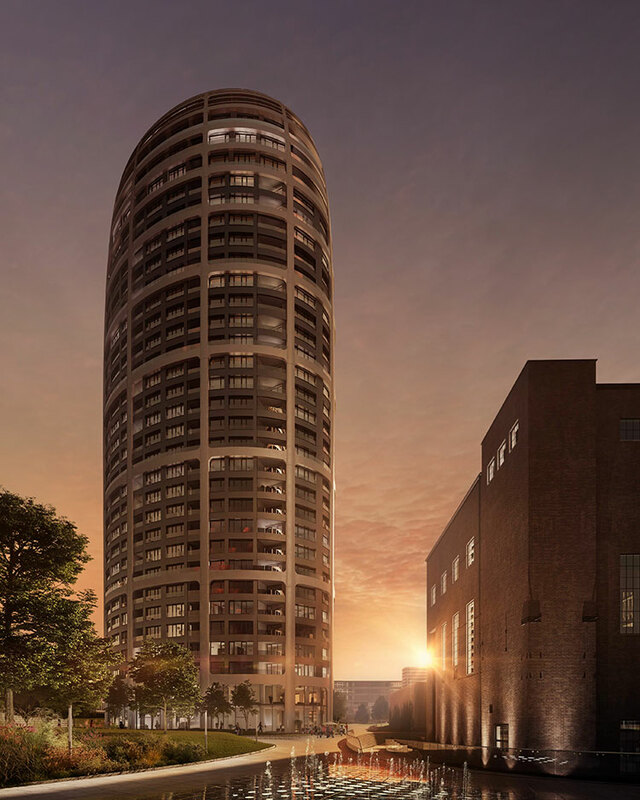 Threatened with demolition before being purchased by Penta, the plant is now listed as a national cultural monument and its façades will be repaired and reinstated as part of the Sky Park development. 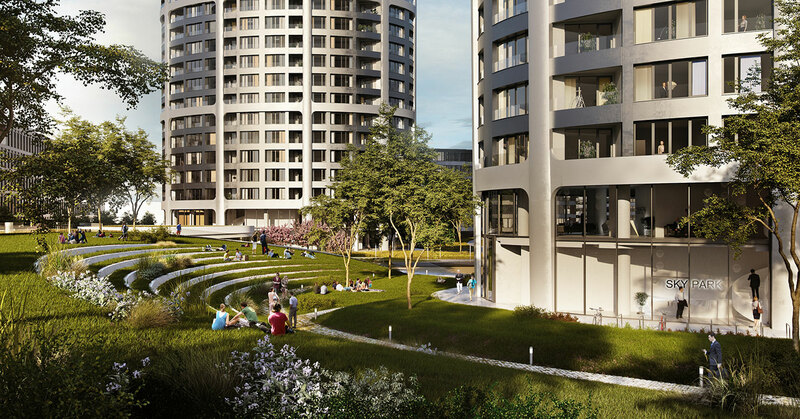 With much of the city’s existing housing stock being ‘paneláks’ rapidly constructed during the postwar housing shortage, Sky Park’s fluid architecture creates generous new living spaces and engaging communal areas where people can connect. The design was selected by the jury in 2010 and opens the site to the public, allowing everyone to explore the Jurkovičova historical landmark—as opposed to the closed perimeter blocks of other proposals. The park will develop and grow with its new community and includes playgrounds, an amphitheater, picnic sites, running tracks, sports field, dog zone and orchard. 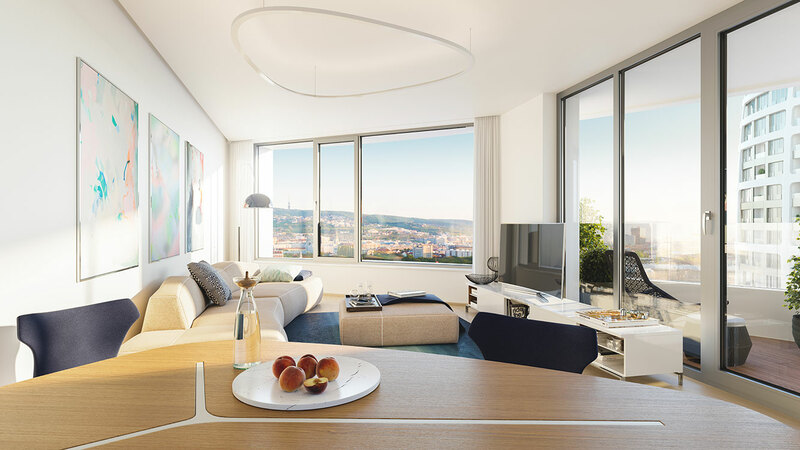 “Sky Park is an important link between Bratislava’s contemporary culture, emerging nature and history,” said Patrik Schumacher, principal of Zaha Hadid Architects. 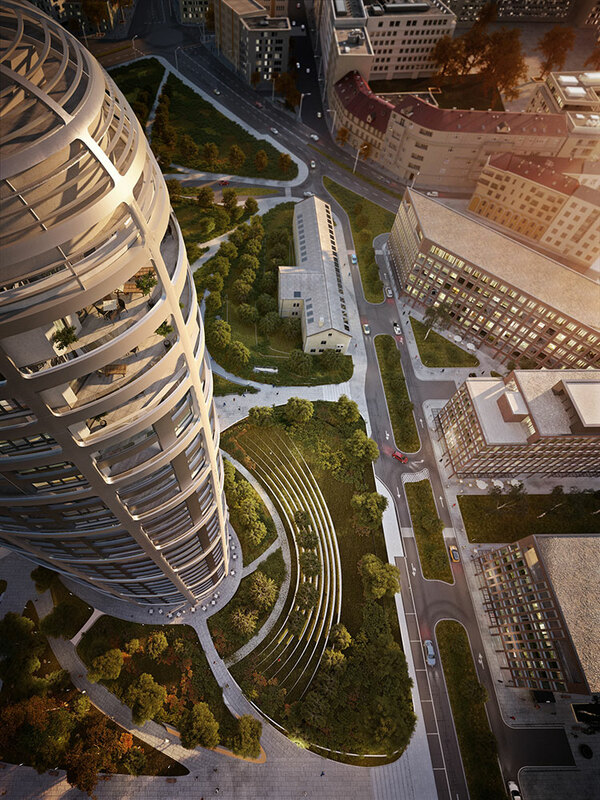 “Sky Park is currently one of the most important Penta projects, not only due to the size of the investment, but also due to the overall significance for our capital city, with its concept and solution of public spaces,” said Jozef Oravkin, partner in Penta Investments. 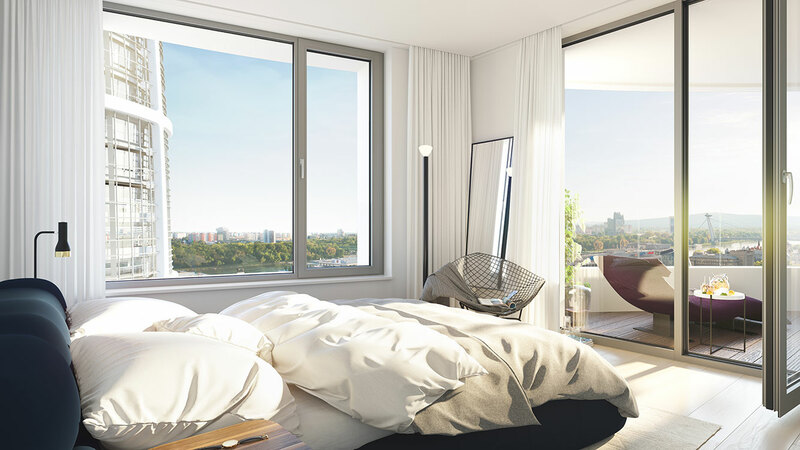 Almost 60% of the apartments within Sky Park have sold since becoming available earlier this month. Two office buildings will be constructed in the second phase of the project, the first of which has already received planning permission.